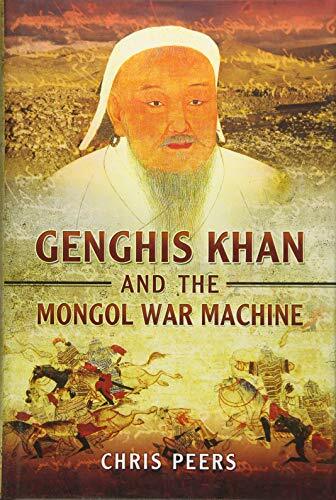 [PDF] Genghis Khan and the Mongol War Machine,1 edition | Free eBooks Download - EBOOKEE! Description: As a soldier and general, statesman and empire-builder, Genghis Khan is an almost legendary figure. His remarkable achievements and his ruthless methods have given rise to a sinister reputation. As Chris Peers shows, in this concise and authoritative study, he possessed exceptional gifts as a leader and manager of men - he ranks among the greatest military commanders - but he can only be properly understood in terms of the Mongol society and traditions he was born into. So the military and cultural background of the Mongols, and the nature of steppe societies and their armies, are major themes of his book. He looks in detail at the military skills, tactics and ethos of the Mongol soldiers, and at the advantages and disadvantages they had in combat with the soldiers of more settled societies. His book offers a fascinating fresh perspective on Genghis Khan the man and on the armies he led. No comments for "[PDF] Genghis Khan and the Mongol War Machine,1 edition".